Hello radio listeners and Kingdom Hearts fans! DJ Firewolf here bringing you a new playlist for the Kingdom Hearts Recharged radio during the month of September! This month, our radio features the soundtracks of newly released Disney movies, Maleficent and Frozen. We’re also bringing back music from Aladdin, Enchanted, The Little Mermaid and Mary Poppins. Wait, there’s more! In our September update, we’re also featuring Once Upon a Time, Saving Mr. Banks, Planes: Fire & Rescue, Toy Story of Terror and DuckTales Remastered. And of course we also have the complete Kingdom Hearts soundtrack, along with music from the Final Fantasy (I-IX) titles. 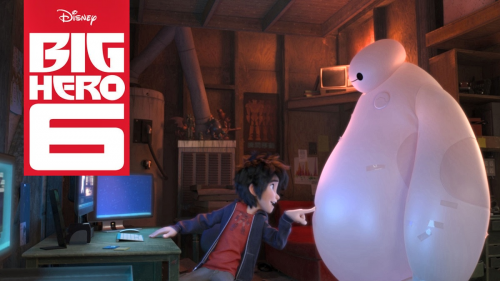 I’d also like to spread the word about Walt Disney Pictures’ newest animated feature Big Hero 6. This superhero comedy film concerns a young prodigy in robotics named Hiro Hamada and his robot Baymax as they bring together a team of inexperienced crime-fighters to uncover a criminal plot in their hometown of San Fransokyo. Heavily inspired by both superhero comics and Japanese manga, the film will attempt to bridge the gap between Eastern and Western culture, much in the way that Kingdom Hearts does with Final Fantasy and Disney. Check out the trailer! Big Hero 6, based on the Marvel Comics series of the same name, will be released on November 7th.